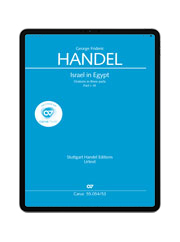 Due to the major role of the choir in Israel in Egypt, it is one Handel’s most beloved oratorios and has found a secure place in the concert repertoire of many choirs. 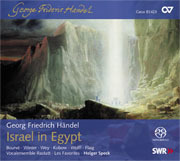 With its frequent movements for double choir Israel in Egypt offers an expressive spectrum extremely rich in contrasts, ranging from the expressive lament to the dramatic description of the plagues to the festive, triumphant rejoicing of the freed Israelites. 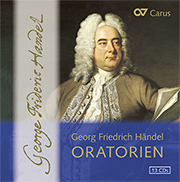 This outstanding oratorio is published in a critical edition as part of our Stuttgart Handel Editions (Urtext). It presents the complete, three-part version of the work from 1739. 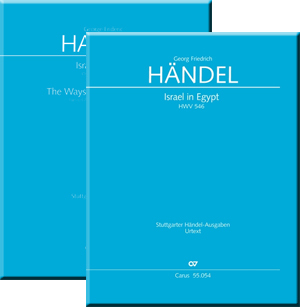 Clifford Bartlett, the English musicologist who internationally is one of the most knowledgeable specialists in the field of early music, will edit Israel in Egypt.